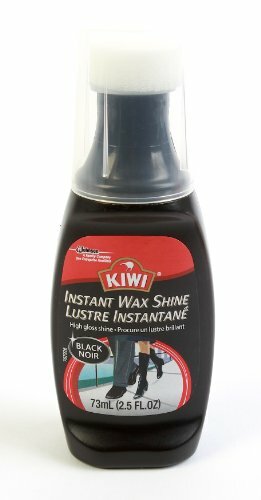 Kiwi Shoe Polish is a high gloss, black shoe polish with premium wax formula that guarantees a strong and deep shine, removing scuffs and filling scratches effectively. Shoe polish shines, nourishes and protects shoes. Features a unique, long-lasting 2 layer sponge with controlled dosage for easy application. Shake well; flex sponge on shoe and spread evenly as the liquid flows on.